ADAM BLACKWELL, Organization of American States. Presented by CIPS, the Fragile States Research Network and the Canadian International Council. In English. Registration is not required. Seating is limited and available on a first come, first served basis. The changing character of armed violence in Central America — from politically-motivated wars during the Cold War to gang and drug-related violence since the late 1990s – has posed enormous challenges for states, citizens and the international community. Though it became acceptable to negotiate with guerrilla organizations in the early 1990s, negotiating with organized crime is still widely seen as setting dangerous precedents. Yet in El Salvador and Honduras, the Catholic Church has received the backing of the Organization of American States (OAS) to broker historic ‘peace accords’ between criminal organizations. Why and how have they done so? What have the results been to date? What do these experiences mean for the wider ‘war on drugs’ in the region? Ambassador Adam Blackwell will address these issues in an event co-hosted by the Canadian International Council’s Latin America Group, and CIPS’ Fragile States Research Network. Canadian Ambassador Adam Blackwell is a former career diplomat. He first joined the Canadian foreign service in 1980, serving various assignments in Central and Eastern Africa, as well as acting as Consul General in Mexico and New York City. From 2002-05 he served as Ambassador to the Dominican Republic. At the end of his term, he published the book Canada and the Dominican Republic: 50+ years of Diplomatic Relations. From 2005-06 he was Director General of Strategy and Services in the Bilateral Relations Branch of Foreign Affairs and International Trade Canada. 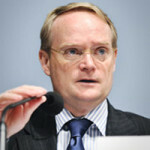 In 2006, he joined the Organization of American States in Washington D.C, and became the Assistant Secretary in the Secretariat for Finance and Administration. Subsequently he became acting Secretary in the Secretariat for External Relations, and in 2010 was appointed Secretary for the Secretariat for Multidimensional Security. Over the years, he has participated in and led several OAS electoral observation missions.